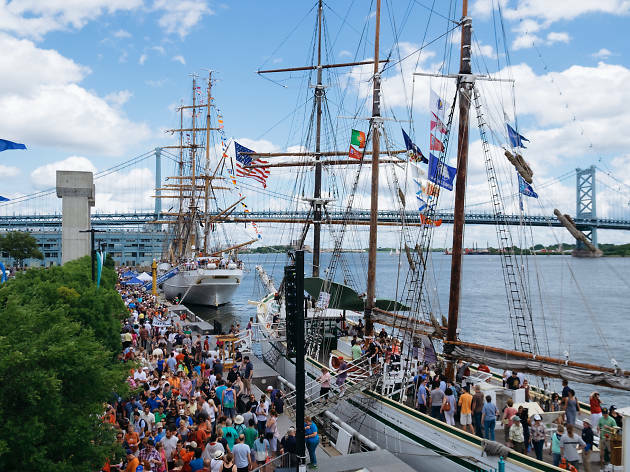 On the last weekend in May, nine tall ships from along the eastern U.S., Bermuda and Portugal will dock at Penn’s Landing in Philadelphia. 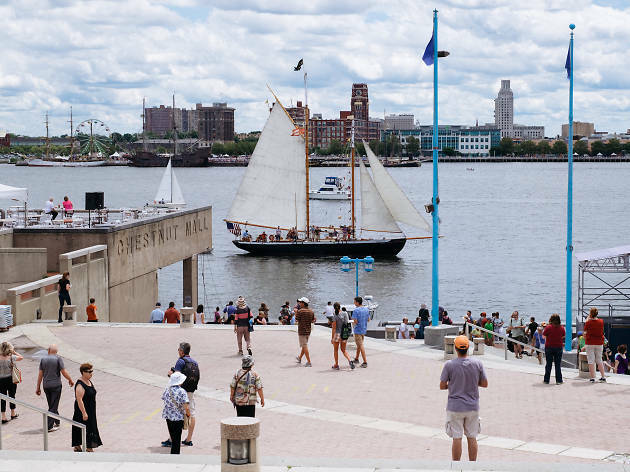 The four-day festival includes tours of the traveling boats, admission to the Independence Seaport Museum and optional 90-minute or two-hour cruises. 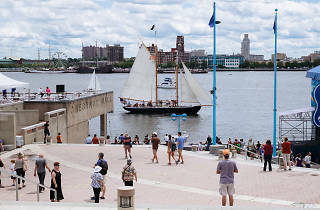 Tickets to sail aren’t cheap ($90-$125 for a day pass), but you don’t have to get out on the water to experience the vessels. 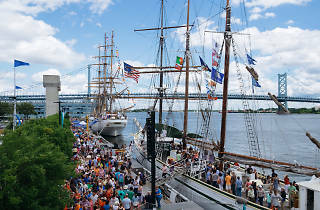 On Deck ship tours are $10 for adults, or you can admire the beauties from land at the accompanying Sail Philadelphia Waterfront Festival, which costs $7 to enter. Are you a casual boat fan looking for a complimentary peek? Walking up the Ben Franklin Bridge is always free.